During my exhibition I will be holding a special performance on the work of Franz Kafka. 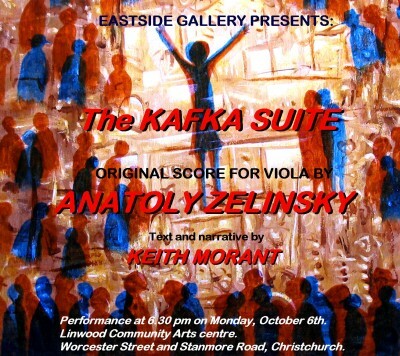 I will be writing and performing a Kafka monologue around the beautiful viola music of Anatoly Zelinsky. I have been a full-time painter for over fifty years. For many of those years it has been my custom to create a painting in celebration of my 70th birthday (April 14th). These works are, for the most part, in private collections worldwide. This year, as I approach my 70th birthday, I have decided to celebrate by creating a series of seventy paintings. These works will be on stretched canvases and will be a reflective view into my creative past where a full range of applications, techniques, motifs and mark-making will be revisited. As a creator who always works for the future, I have never compromised my personal vision or pandered to any art establishment. While over recent years my work has enjoyed some success internationally; my adopted country of over forty years has generally ignored my efforts. This local non-acceptance of my work has never bothered or influenced me adversely. However, it does indicate that any form of a local ‘Retrospective’ exhibition is very unlikely. 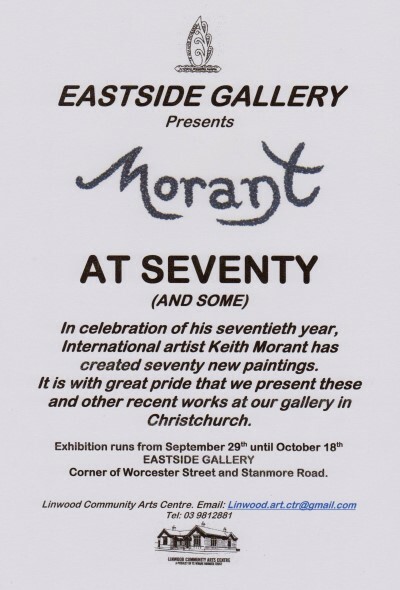 However, I am happy to consider them as a potential ‘Introspective’ exhibition and Thanks to the Eastside Gallery in Linwood, Christchurch, I have been able to display them to some effect.